You knew that I did not intend on going there last night. You saw me struggling, and you told me to go, and so I went. I thank you for letting me sit a while and listen, with you by my side. You sent me the a card a few years ago. I can’t remember exactly when. 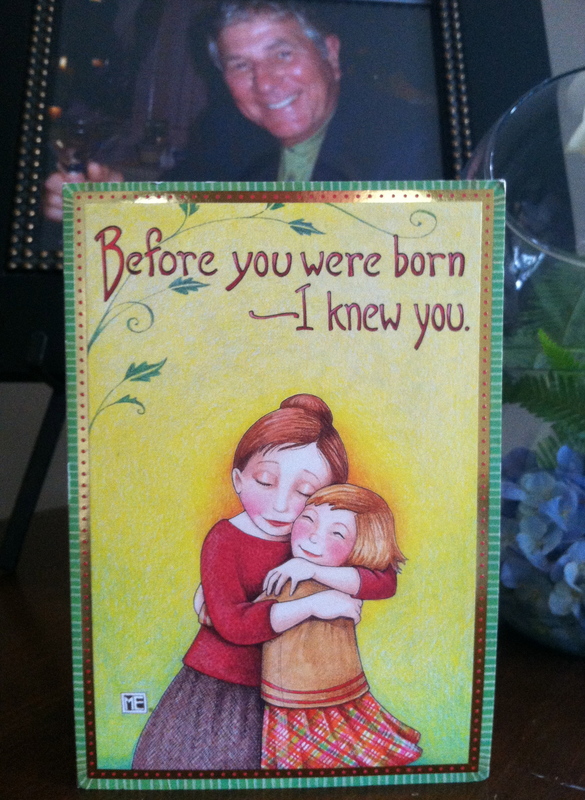 The front says, “Before you were born ~ I knew you.” I loved it, and I called you in tears after I read your words. You were so special, and I knew I was lucky to have you. Last night I found out the truth because you led me to a place where I could listen. I could listen and understand. At Hope’s faith formation class (which Hope could not even be at,) you spoke to me. Of course you did. That’s so you. My shot isn’t good enough. These are all ideas of this world. There are not of God’s world, because he loves each of us as we are. In His eye’s, we are perfect, each of us. It is not that I hadn’t heard you speak those words while you were here in body. Over and over again I heard you say those things. It’s just that I have not heard your voice for such a long time that perhaps I let your message slip to the back of my mind. It is also that I have never heard you speak to me through someone else before. You chose that card for me because those were words written first by a prophet. You were a Deacon. You studied the Bible. You KNEW. Those words are not meant specifically for a man or a woman. They are meant for all of us. You knew what you were doing when you chose my card. You loved me like God loves me and everyone else. Unconditionally. You were a wise man, Dad. You believed in striving to be more “Christlike.” You believed that the only reason we are here is to learn how to love. I’m working on it. I miss you. I love you. Thank you for sitting with me last night. I heard you. To quote you…”There is no such thing as a coincidence.” Right? Largely responsible for keeping me smiling this week is the man named Charlie Chaplin. Our family took a trip to New York City for a “once in a lifetime” experience. 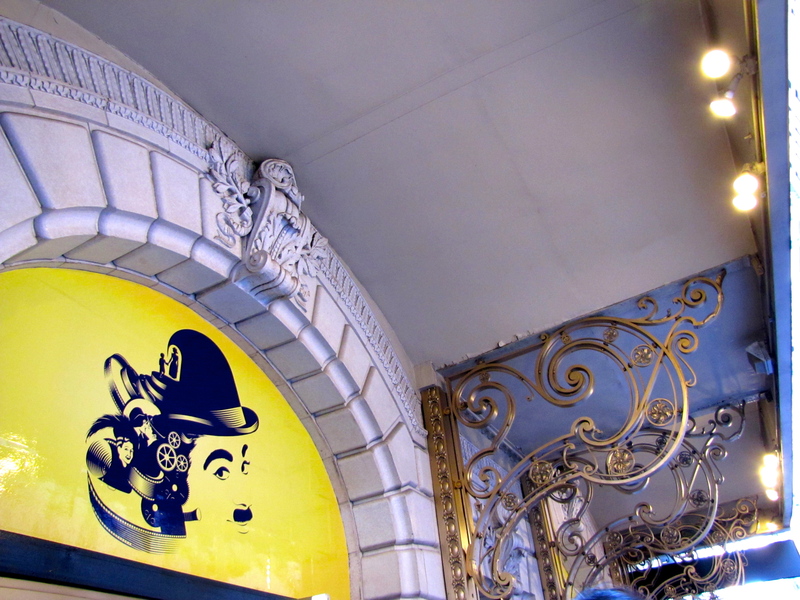 We attended the opening of Chaplin, the Musical at the Barrymore Theatre. Seeing a theatre show on Broadway is exciting in itself, but when a member of your family has created the show, well – it’s just plain magnificent. My husband’s first cousin, Chris Curtis, introduced us to the music he was developing for Chaplin in the Wayside Inn in Chatham, MA about 20 years ago. 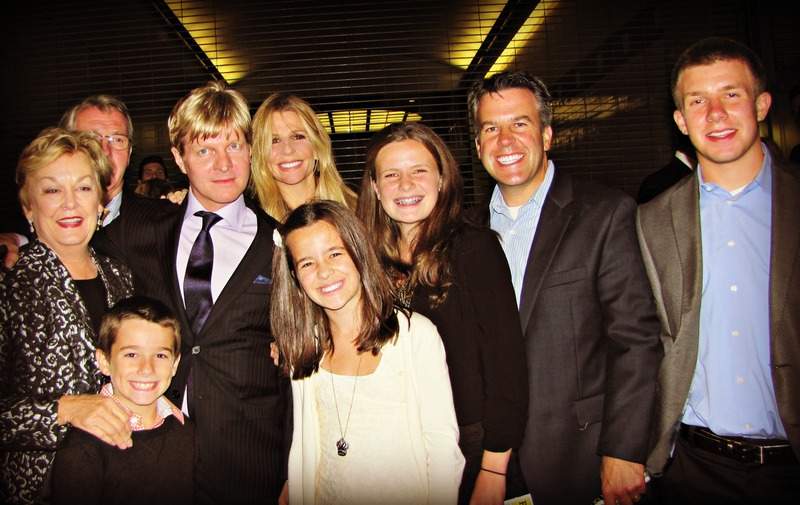 Chris’ dream came true September 10, 2012, the opening night of Chaplin, the Musical. The Barrymore was full, the crowds were loud (especially me,) and the red carpet studded with celebrities! We could not be more proud of Chris and his achievement. He co-wrote the book, and solely wrote the music and lyrics to this incredible show. The life of Charlie Chaplin – who knew that it would be making me smile so many years later! Bravo, Chris!! At the Wayside Inn on Cape Cod – before I was married, and way before 4 children! 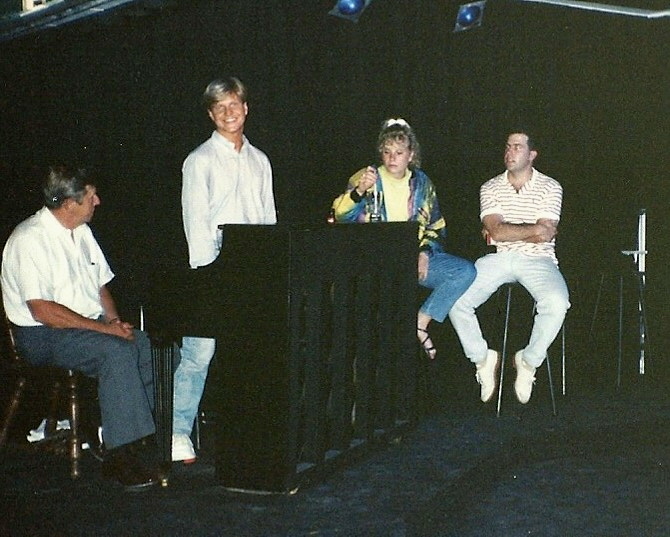 Chris’ dad, Alan (far left,) has since passed away, but was enjoying his son’s music as he always did! …and 20 or so years later we all stand with Chris outside the Barrymore Theatre after the show! 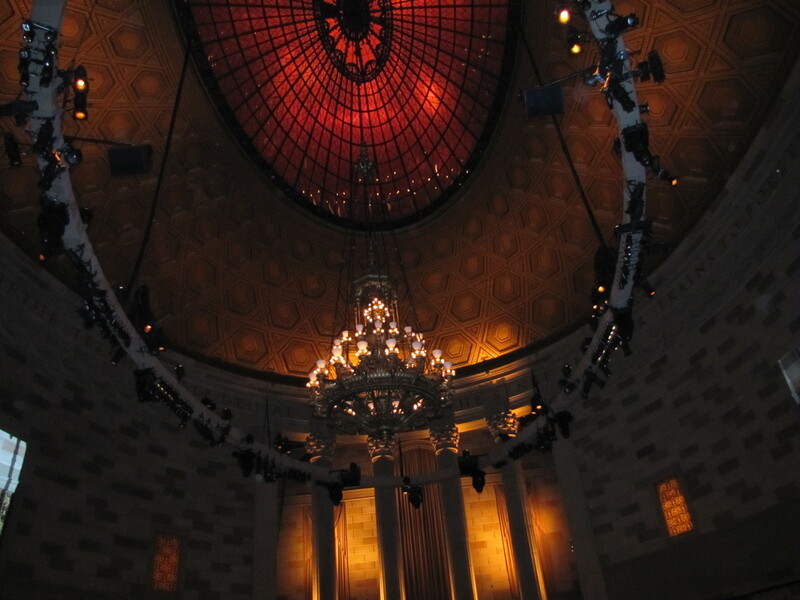 The gorgeous Gotham Hall, where we enjoyed the after party – made even more special by the name, as my 9-year-old is a Batman super fan! 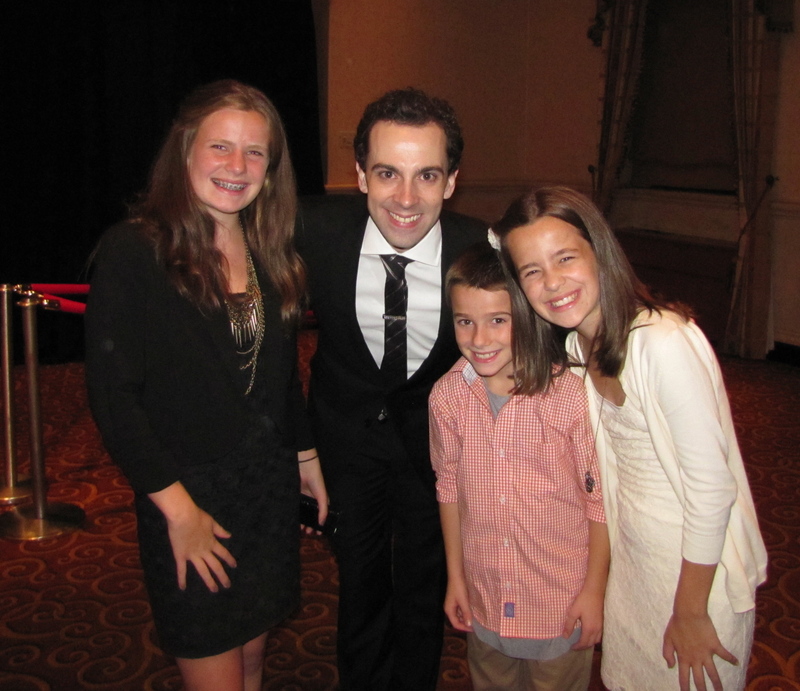 some of my gang with Rob McClure, who was brilliant in the role of Charlie Chaplin. 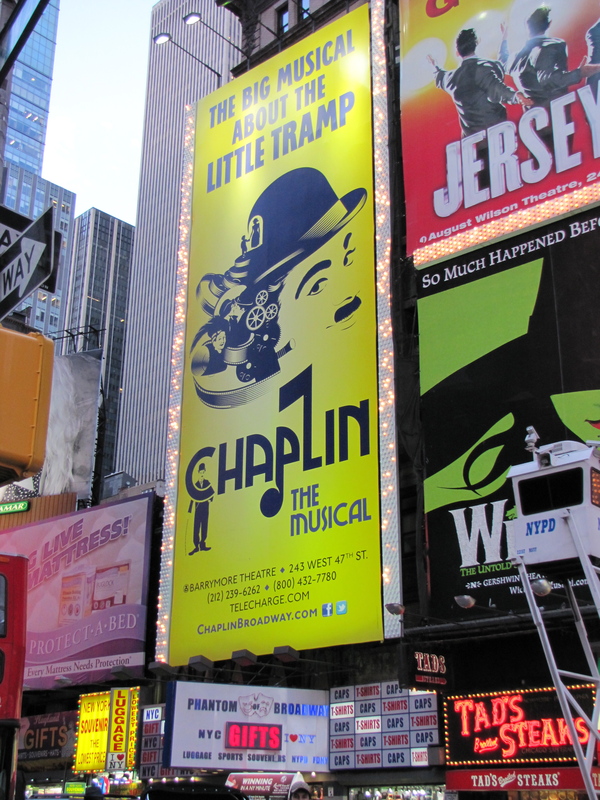 If Chaplin, the Musical comes to a city near you, be sure to go!